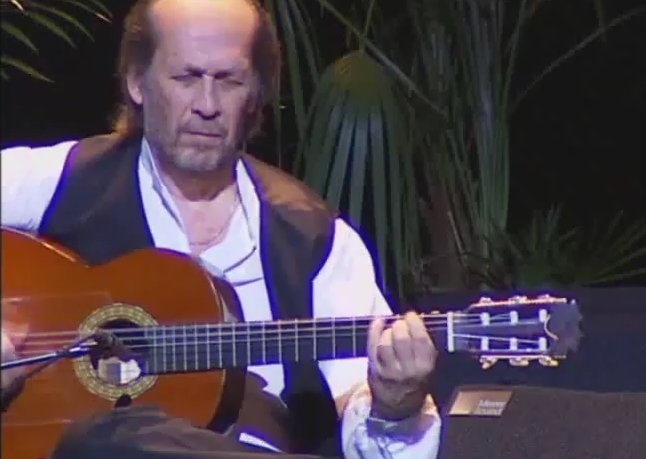 Paco de Lucia's stage guitars. 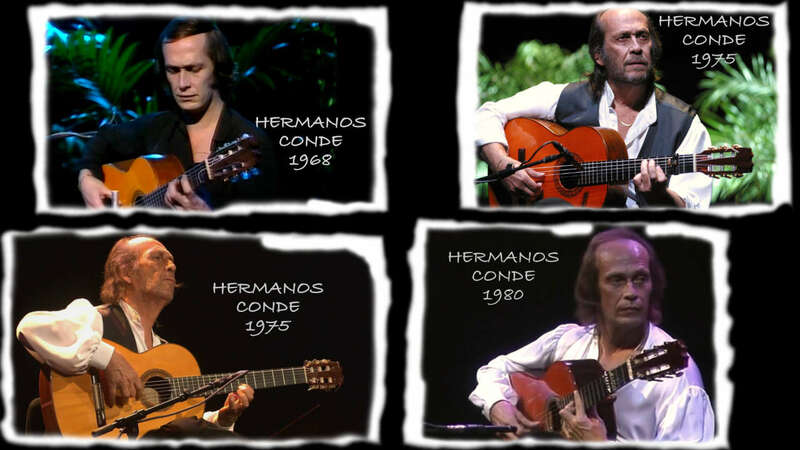 Hello everybody, I have researched which guitars Paco played on stage. Here is an article with the details. 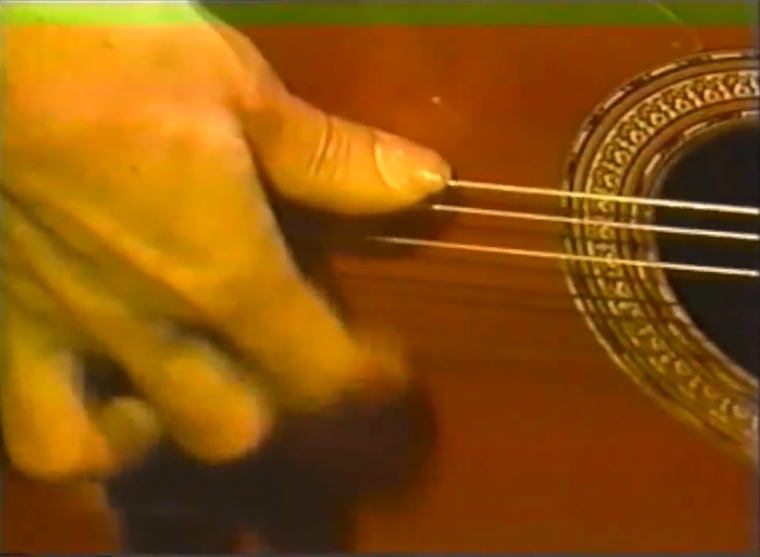 There is another blanca with orange tap plates that he kept in his home in spain, seen when he plays on the couch in the rito y geografia and in the back ground of his last documentary La busqueda. And finally there is a very worn negra that he pulled out briefly I notice in photos and videos in 1980 only. Obviously its when his 1968 guitar was stolen. 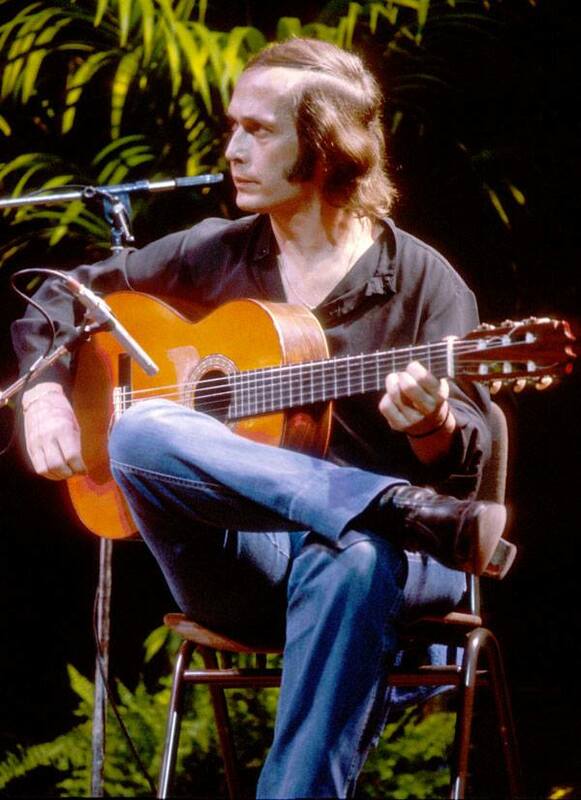 He settled on using the other guitar I described in 1980, for use on Castro Marin, Friday night in Sanfran, and solo quiero caminar. 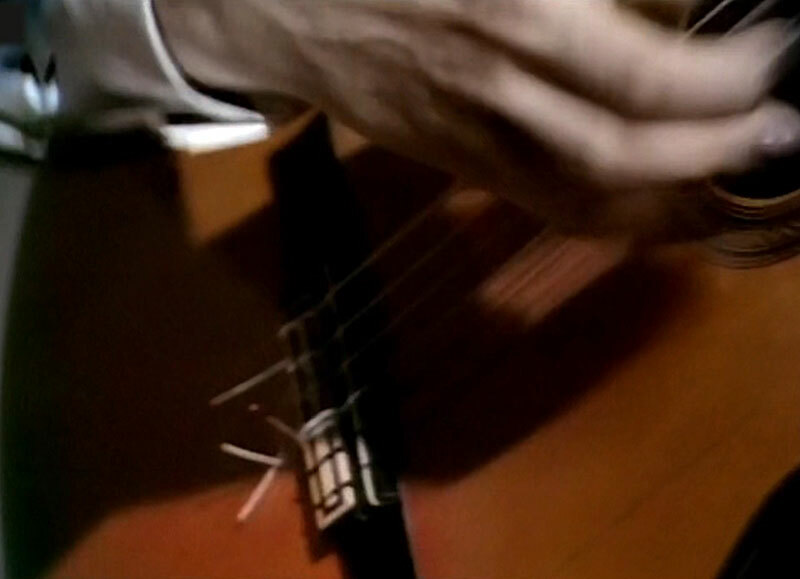 However we do have these two clips of this other guitar, by the wear I can tell he used it a lot. Hello Ricardo, thank you very much for your remarks. My article deals mainly with Negra guitars with spruce tops and shows only a few examples. Take your time. I have compiled lots of photo and video evidence on each guitar, and have educated solid ideas for what instrument is used on what recording. I’m always on the lookout for one of the main instruments that might pop up for sale. 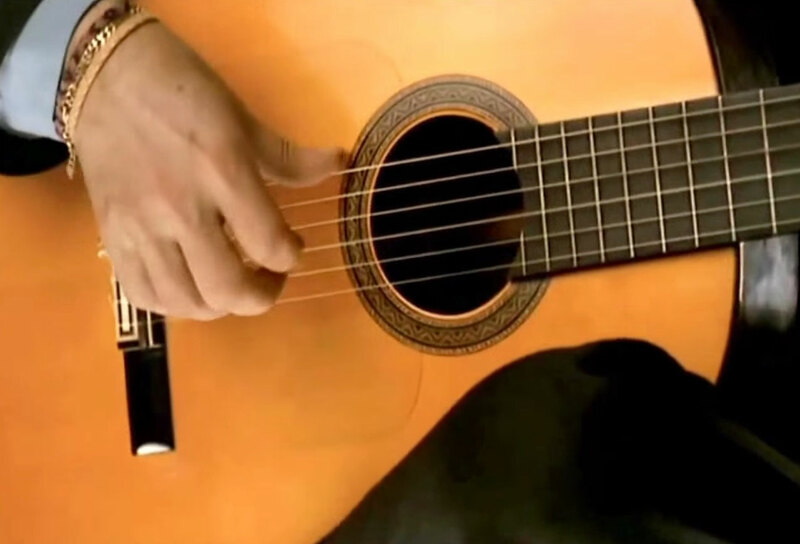 If you purchased the the 1980 guitar used w cañizares, congratulations that’s pretty awesome! This is really nice and informative work, thanks a lot! 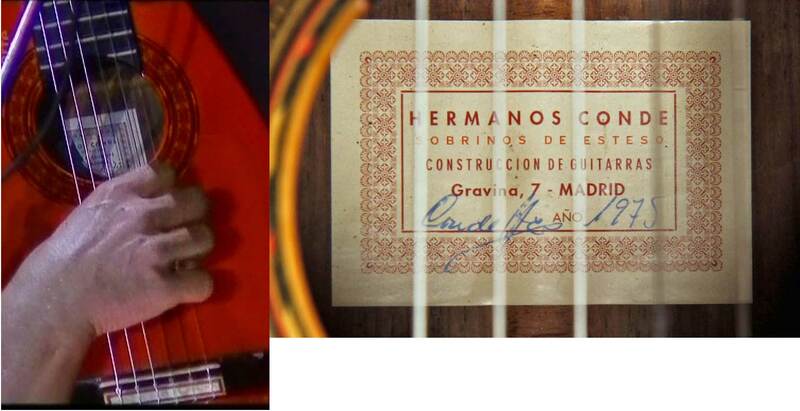 @Conderio, "PACO'S SECOND 1975 FAUSTINO HERMANOS CONDE" is listed on the main page as German spruce top, rosewood back and sides, but on the photo gallery page it says Spruce and Cypress. Which one is correct? It is Rosewood - of course. Sorry for that. No problem, thanks form clearing it. I agree with you about the 1968. The one from La Busqueda/Saura Film is another and probably his first Negra. The tieblock is different. The color of the triangles in the rosette also seems to be different. The red one of Ramon is also a different one. It's not one of Paco's two 75s. 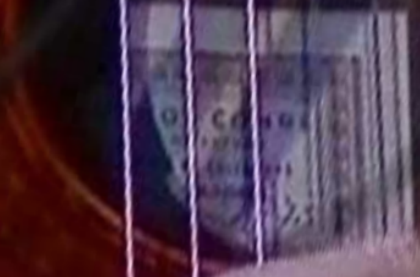 The Conde, where he plays Patino, looks like it has a cedar top? The two from 1975 are different guitars for me. The writing especially the 7 and 5 on the label are clearly different. Where is the label photo of the 'first 1975" from? On your site next to the 'first 1975' all the other the videos and photos are the same guitar as mundo flamenco which you call 'second 1975'. It has a distinctive grain pattern on the upper bout treble side. In your close up photo the handwritten '1975' does look different. Also it appears that the printed label itself is different? Have a look at the 'Sobrinos de Esteso' line. It doesn't extend as far, the spacing between letters is different. Also look at the word CONDE the 'C' is larger than 'ONDE'. 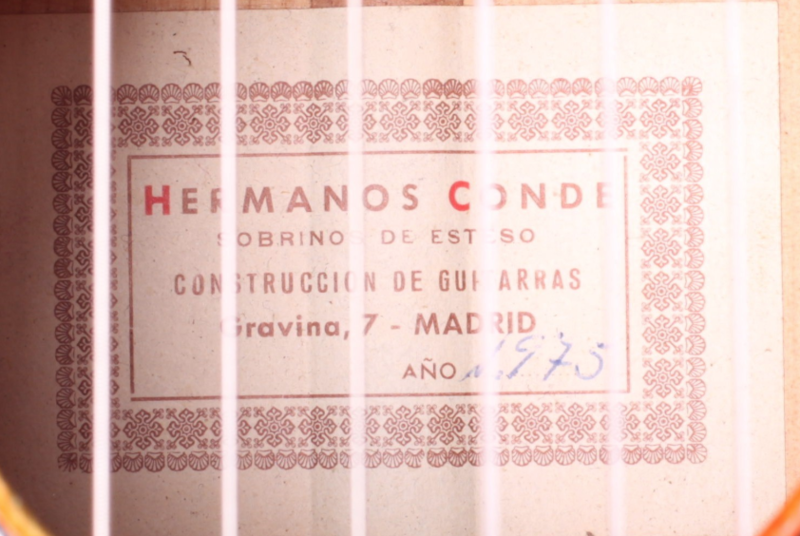 Compared to label of the 1975 guitar at Mundo Flamenco. Perspective makes it difficult. But the length of 'Sobrinos de Esteso' compared to 'Construccion de Guitarras' is clearly different? Right, the printed label itself is also different. That seems to be unique. I think it's two different 75's. The rosettes are different and back and sides too. The first one has Pauferro Ironwood Rosewood and the Mundo probably too, but wood is darker. and grain is similar, but different. The point is the 7 and 5 on the labels are different. Here is the clip where the label of the first 75 is from. I put two pictures of what you call 'first 75' and 'second 75' mirrored. The grain looks very similar. Maybe the same guitar? Or perhaps they are guitars made at the same time, from side wood sets cut one after other, from the same block? (The rosettes are different because the inner tiles have been replaced. On the mundo flamenco close up photo you can see where this was done). I couldn't get a clear shot of the wood grain from the 1986 Barcelona video. This is the best I got but it's not clear enough to see the grain that well. Well, i see your points. I go for the same wood block. The handwriting on the label - especially the 7 and 5 are different. I don't believe, that the label was replaced too. Yes. Follow that white/black/white veneer around. There are several other places where it has been slightly imperfectly replaced. 1. Side wood is not similar it is identical. 2. Soundboard has unique v shape grain below bridge to bottom edge. 3. Outer rings of rosette are identical. 5. 1975 is the date. Sound is quite identifiable as well. 5. Label (can’t find corroborating evidence ie clear photos, but admit it’s suspect). 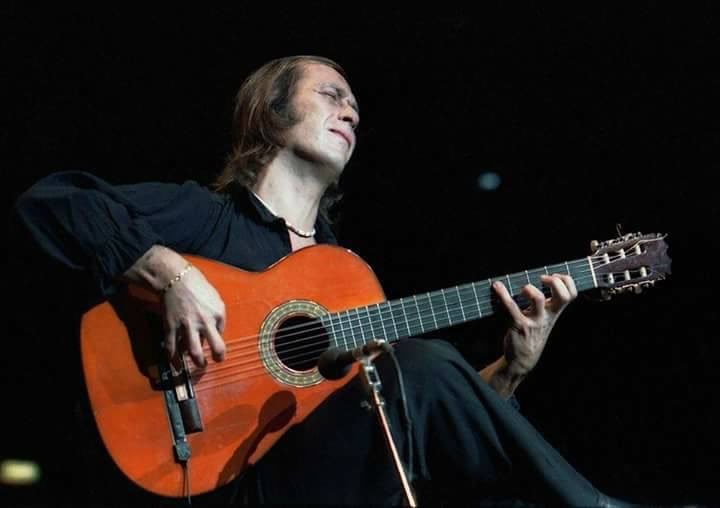 We asked (flamencoguru emailed and received response) juan Estrada Paco’s then manager who said it’s the same guitar Paco used for decades but refinished. I asked Paco de malaga who asked Ramón de Algeciras about this. 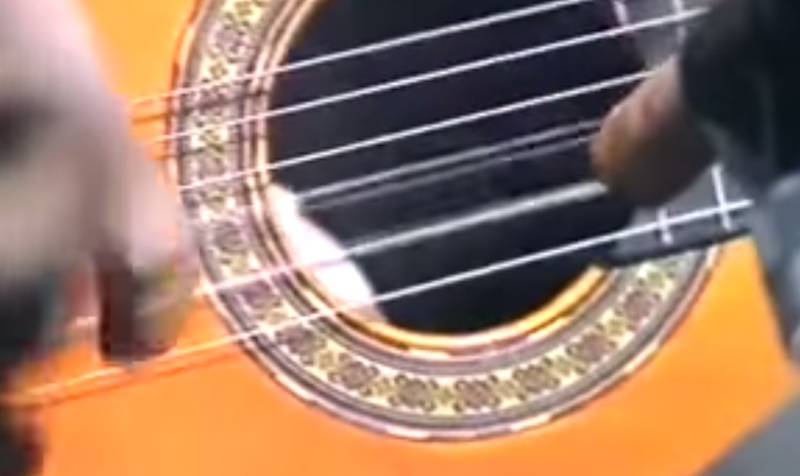 Apparently Paco sent the Guitar to get touched up in 2005 as he always did before tours since 1997 or so when the red finish was repaired.... when PDL picked up the guitar and saw it completely worked over he was like WTF?!? 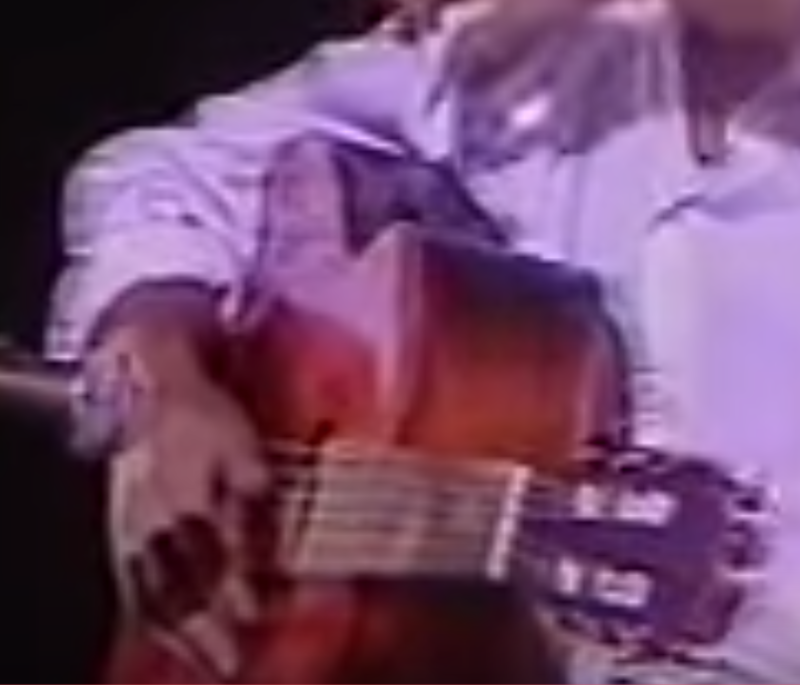 An apparent superstition forced PDL to keep using this guitar on stage despite the instrument being uncomfortable and having gone through hell and back. I admit that differences 2, 3, and 5 are quite odd, especially if not requested by Paco, so the story I have suggests. Perhaps some mistakes were made and these changes were done to cover it up? The inner tile rosette clearly reflects the style of the PDL,model Carrillo on the market at that time. I now feel that 3 and 5 could imply a changing of neck and back together, in order to keep the box functioning and original? The neck change might have damaged the rosette in the process so Carrillo inserted his PDL model rosette to fix it.? The label also could have been damaged, it’s not an impossible thought that it was replaced. At the end of the day the likenesses out weigh the differences IMO in terms of what could be changed realistically verses what might be a coincidence of twin guitars. Well, I don't know what to believe. Actually I doesn't matter to me if there are 2 guitars from 1975 or not. Everything would be feasible in terms of craftsmanship - for sure the labels are different - printing and writing. So, Juan Estrada confirmed, that there is only one from 1975 respectively the #1 '75 was restored to the #2 '75? Well, he should know! Also heard the story - years ago - the '75 #1 was stolen out of his car not the '68 negra? It’s the same stage guitar (Pauferro back and sides) restored in 2005 by Vicente Carrillo. It’s been the main stage guitar of Paco in the last 15 years. The rosette had to be touched up as that area of the top had been damaged and it was bare wood. The real question is how the guitar is braced. The seventies and particularly ‘74 are a turning point for the Condes. I found Condes of those years still recalling the typical 60 Condes and other guitars already already very similar to those made up to ‘89. Do you think '75 #1 was refinsihed twice? Original condition see photo from Carmen movie. Rosette color in original condition - also look at the grain of the sides. 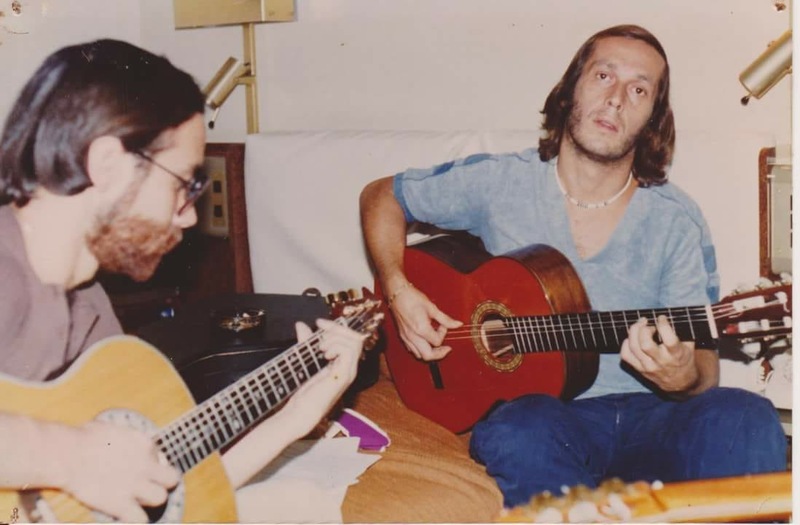 I refer to the 2nd ‘75 guitar of your website, which is a difficult guitar (hard pulsacion) and which Paco preferred for the tours in his last years. He said he never played that guitar at home (he had a glass shelves with 10 guitars for the purpose) and used to keep it in the case ready for the stages. A common friend (a German guy) told me he played it and shared some opinions with me. 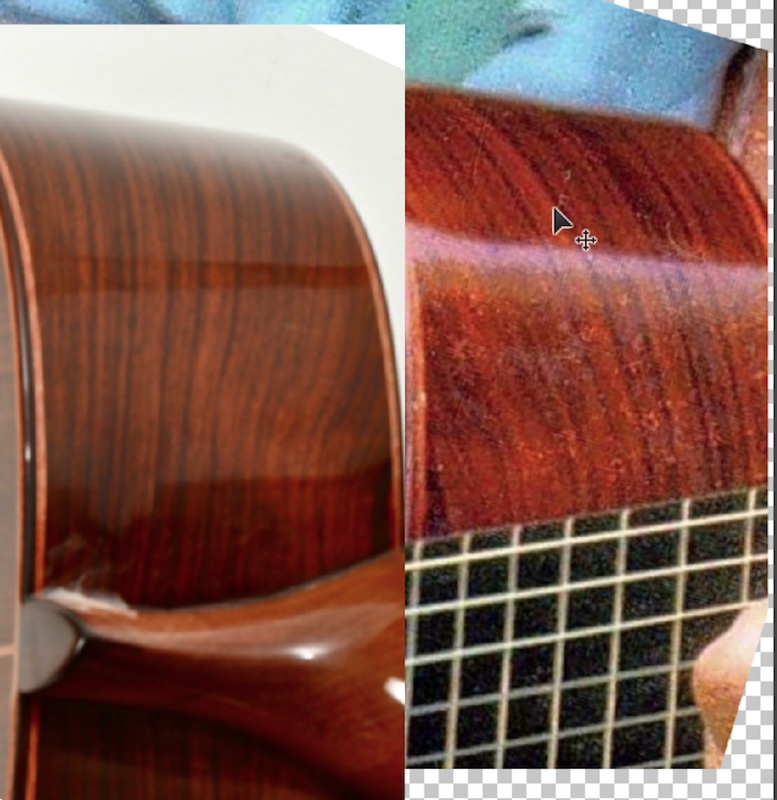 Repeat golpe strikes damaged above rosette in 1990, it got worse until 1997, when he had the guitar refinished again in red. Apparently he kep the guitar regularly touched up, new tuners and plates probably, until 2005 when it was completely worked over. That seems to be the division you are noticing when the same guitar turned into Frankenstein or roboguitar. I guess you can say it’s two different instruments at that point.... but with understanding it’s the same body of wood. Like robocop lol. 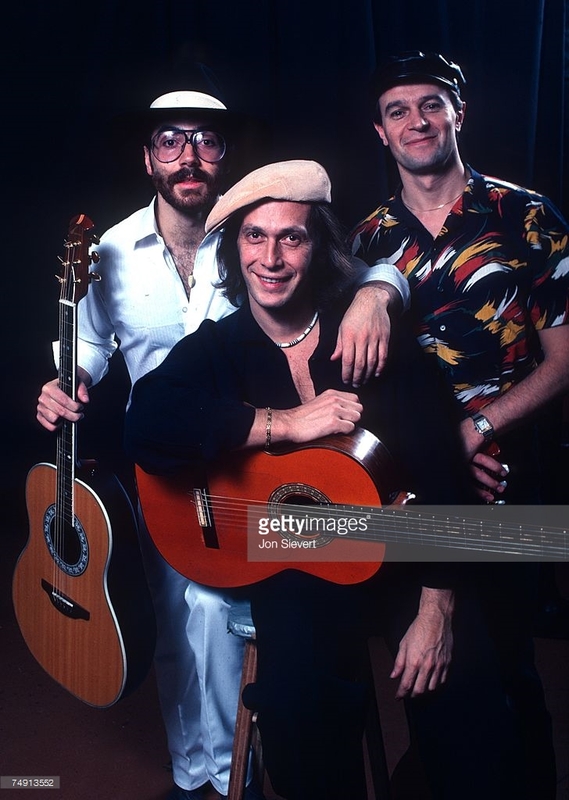 The guitar pictured with Paco in headphones IS NOT the same guitar. That’s a different guitar as I described in earlier post... please zoom in on rosette to see it has a different orientation. 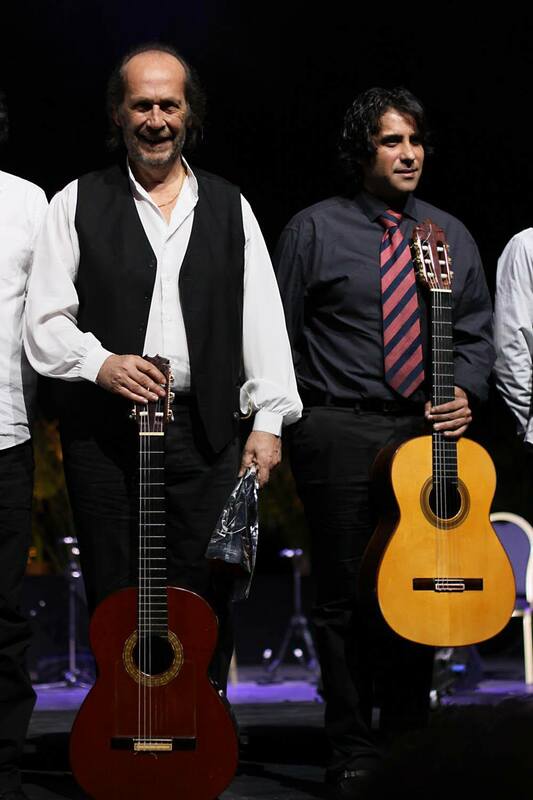 As I said THAT guitar replaced the stolen one, Paco’s own words, and used for Castro Marin solo Quiero caminar and Friday night in Sanfrancisco. It is also 1974 or 75. Admitting I could be wrong about the above, but it is definitely a twin guitar if not the same. 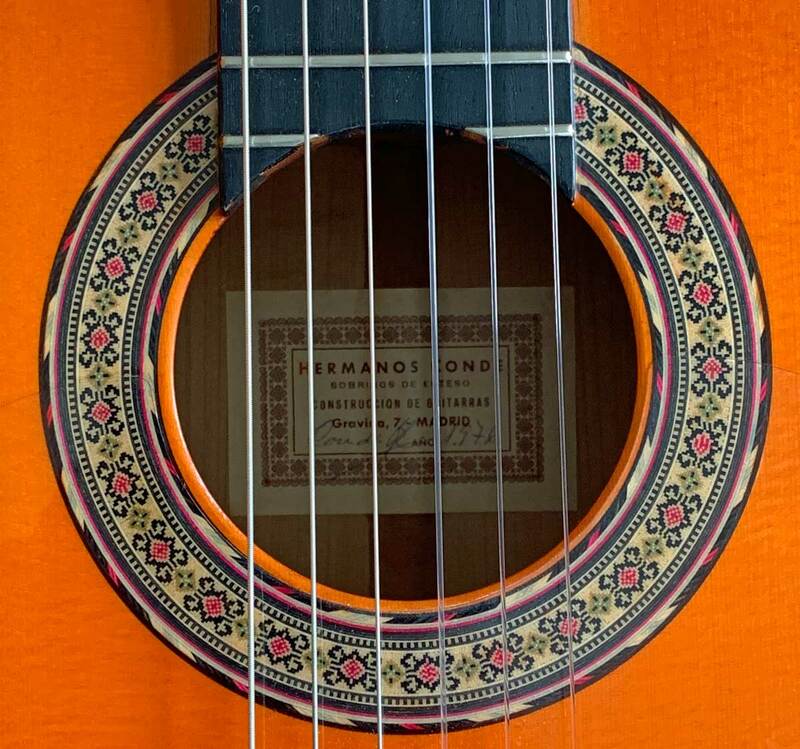 Patino guitar has a different rosette - could be cedar top as well. Is the Moscow guitar this one as well? 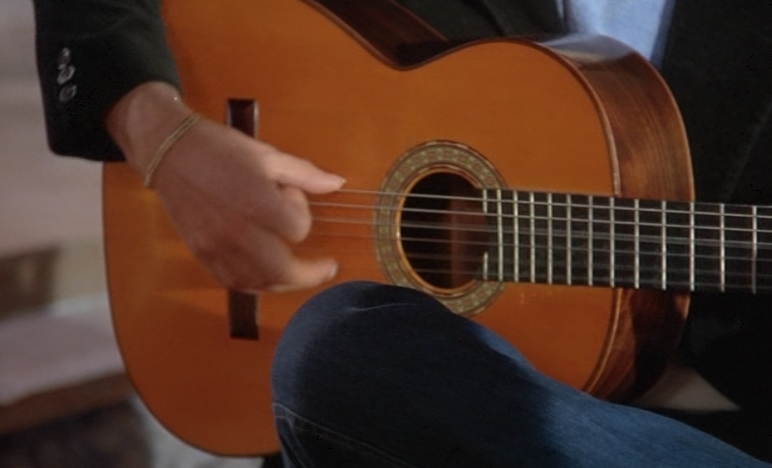 IMO the headphone guitar is this one as well - rosette is same, same one in Carmen movie - look at the grain. Very simply incorrect. The rosette outer rings are a different orientation and style. The Moscow guitar rosette is however identical to the headphone one (or at least closer in style than the 1975). 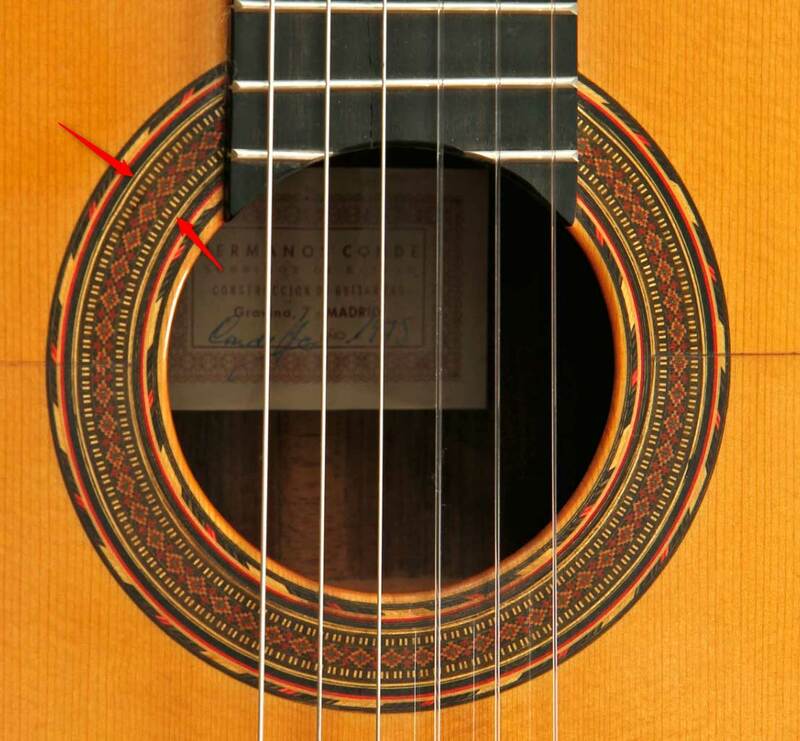 To eyeball it, focus on outer ring design and note the elongated light colored sections, there are 5 between the fingerboard curving around to 6th string on the 1975 Carmen guitar. Also the mundonflamenco photos show the same exact outer ring orientation. The guitar with headphones (Friday night guitar same) has only 4&1/2 sections there.... in other words it’s a slightly different design, size, and orientation. Moscow guitar same deal, but I admit it could be a different guitar that just happened to have superficial twin aesthetics. 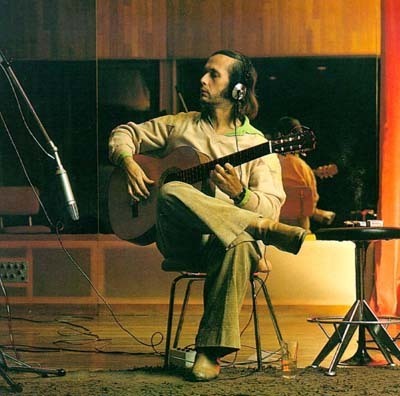 On a related note Felipe Conde has recently 'made' a limited run of reproductions of Paco de Lucia's 1975 guitar.